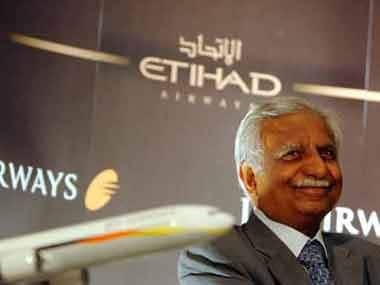 Jet Airways founder and chairman Naresh Goyal and his wife Anita Goyal have stepped down from the board of the crisis-hit airline, according to a regulatory filing. Abu Dhabi-based Etihad is a strategic partner with a 24 percent stake in Jet Airways. Goyal would also cease to be the chairman, the filing said. 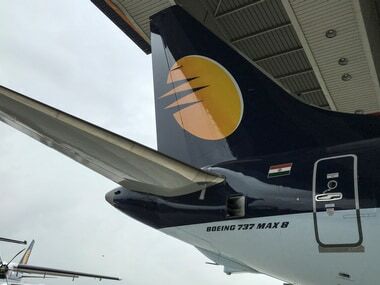 Jet Airways' revenues have risen from Rs 3,447 crore in FY2004 to Rs 23,287 crore in FY2018 at a compounded annual growth rate (CAGR) of 14.62 percent. Among the past 15 years, the airline clocked the highest profit of Rs 1,483 crore in FY2017. However, the next year it reported a loss of Rs 768 crore. It had the largest net loss of Rs 3,668 crore in FY2014. Out of the last 15 years, the airline recorded a profit only on seven occasions totalled to Rs 3,701 crore while at eight times it incurred combined losses of Rs 9,094 crore. Jet Airways' debt has ballooned five-times from Rs 3,210 crore in FY2004 to Rs 16,324 crore in FY2009. However, from that level, the airline managed to cut its loans by half to Rs 8,403 crore in FY2018 in the past nine years. Jet Airways net worth turned negative since FY2012. It rose from negative Rs 539 crore from FY2012 to negative Rs 7,242 crore in FY2018 in six years. 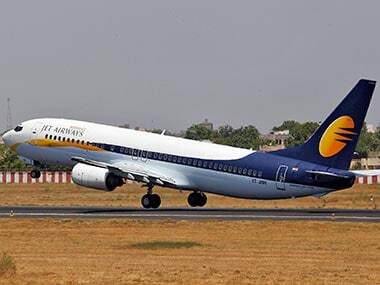 Jet Airways' market capitalisation eroded by over 70 percent from Rs 10,468 crore in its listing year (FY2005) to Rs 2,891 crore as on 25 March 2019. As on 31 December 2018, Goyal owns 51 percent while Etihad has 24 percent stake. Institutions have 9 percent stake while public and others own 16 percent. Jet Airways' passenger traffic rose by 137 percent from 114 lakhs in FY2008 to 270 lakhs in FY2018. While the number of passengers carried increased by 90 percent in domestic routes (from 97.7 lakhs to 185.5 lakhs) it recorded a 417 percent jump in passengers traffic on international routes (from 16.4 lakhs to 84.8 lakhs). 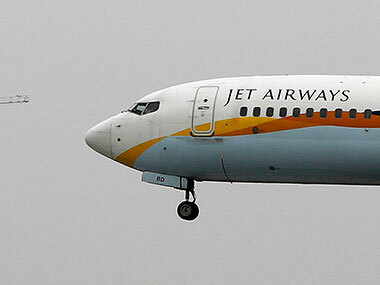 JetLite, the low-cost subsidiary of Jet Airways has reported a decline of 16.4 percent in a number of passengers carried from 33 lakhs in FY2008 to 27.6 lakhs in FY2018.